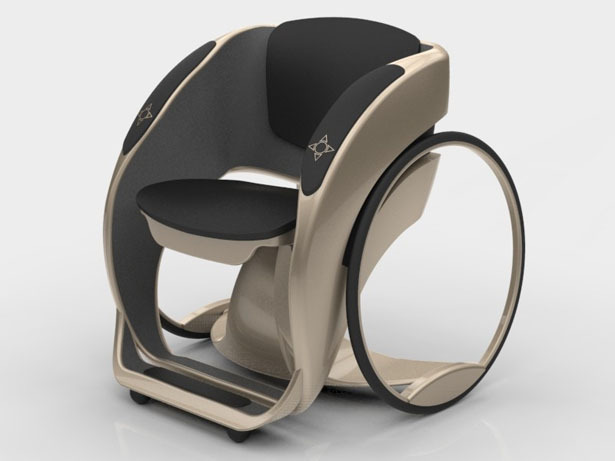 This wheelchair design is an adjustable wheelchair that can be used in a sitting or standing position (just like Pegasus wheelchair). 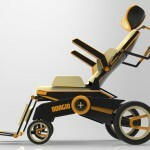 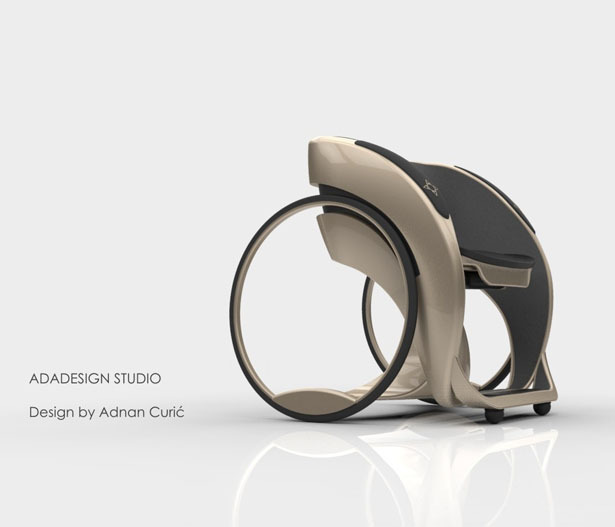 The design aims to change the images of wheelchair users through its adjustable design and its stylish car-like aesthetics. 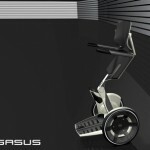 It combines a futuristic hubless design with automatic features, maximizing mobility and functionality. 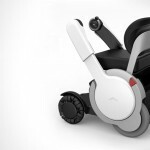 The concept also features LED back panel that can display graphics, including signals, and other symbols to help navigate in public. 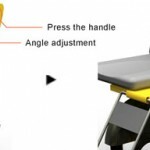 User can roll manually with power stand up/sit down function, it also improves health by using standing position frequently. 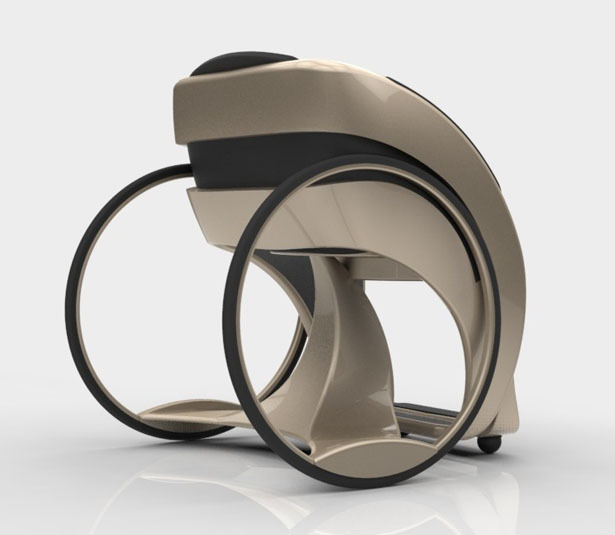 Excellent for user to work with one finger only, the up/down movement can be controlled by a small controller at the tip of armrest. 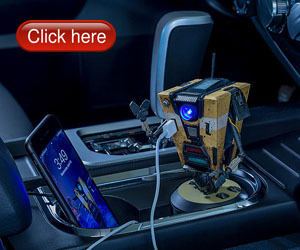 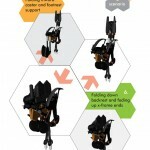 Stylish design with best component and material that is available in the market (carbon fiber), the speed is adjusted when in “standing” mode for safety. 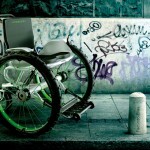 Equipped with polyurethane seats for better riding comfort over rough surfaces. 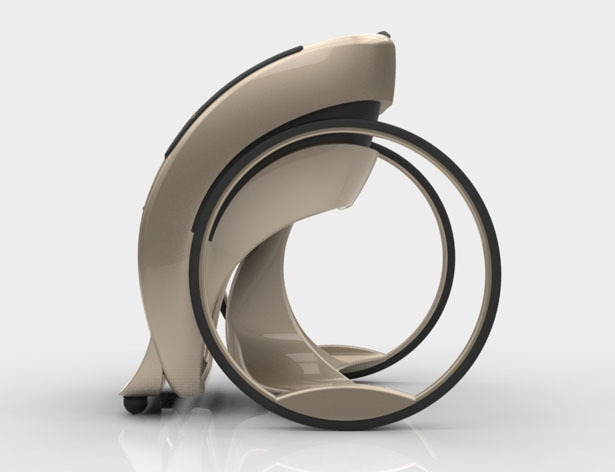 Proprietary user-controlled stand-up & sit-down mechanism is controlled by our unique hydraulic system. 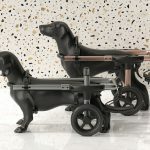 Tuvie has received “Wheelchair Design” project from our ‘Submit A Design‘ feature, where we welcome our readers to submit their design/concept for publication. 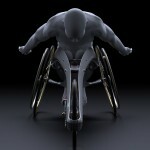 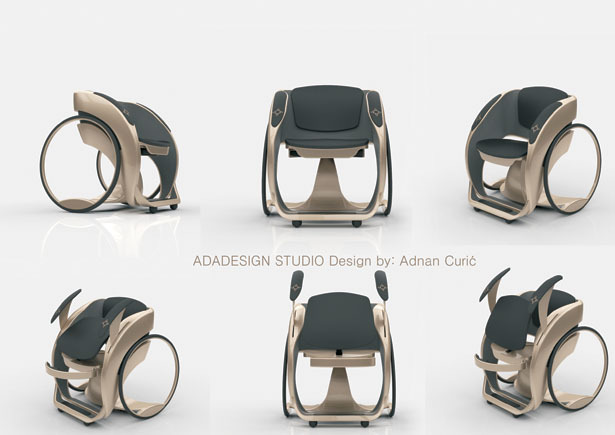 Tagged as modern wheelchair design, wheelchair design concept, wheelchair with standing position. 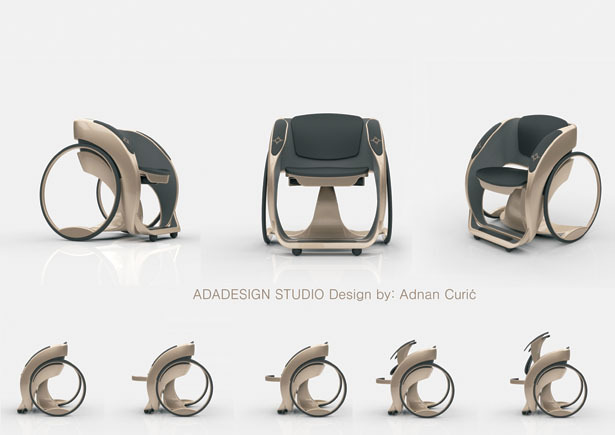 Will the adnan curic design wheelchair be produced?